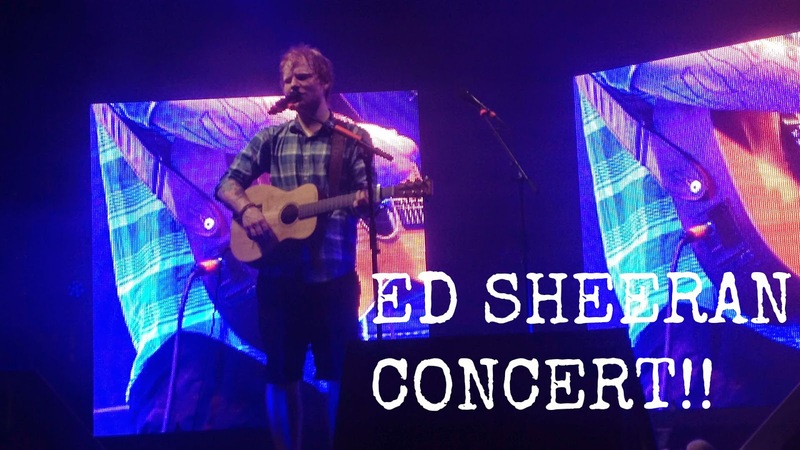 ED SHEERAN CONCERT + VIDEO || Mallorca Rocks 2014 | RAWR BOWS. Hello people! If you've read my 'Things I'm looking forward to' post you will know that I went to see Ed Sheeran recently, in fact, two days ago. It was one of the best experiences I've ever had to say the least. To be honest, I've never been a huge fan of him. Yes, I've always liked his style and most of his songs but I didn't stalk him or fangirl over him. However, after seeing him live last night... I'm in love. If you think his albums are good, then wait to see him sing the songs live, I promise you it's out of this world. It's amazing how a single human being can do so many things on a stage in front of so many people. He does it all himself. Just him and his guitar. It's a truly incredible experience. It's safe to say it was one of the best nights of my life, THANK YOU ED. I filmed most of the concert and put all of the footage together for your own enjoyment do me a favour and ENJOY! Oh my, I'm so jealous, I would love to see him live!